We’re hearing from a source familiar with deliberations that Intel is buying Mashery for more than $180 million, in a move that shows how the chipmaker is slowly becoming both a hardware and a software company. ReadWrite had ballparked the acquisition price at 2-3x the company’s last reported valuation of $60 million. ReadWrite, which first broke the news and confirmed the story, reported that Mashery’s 125 employees found out about the sale via an early morning email and that most will be given jobs in Intel’s Internet services division. Terms were not officially disclosed, but the deal was “not material to Intel’s financial results,” according to a statement. 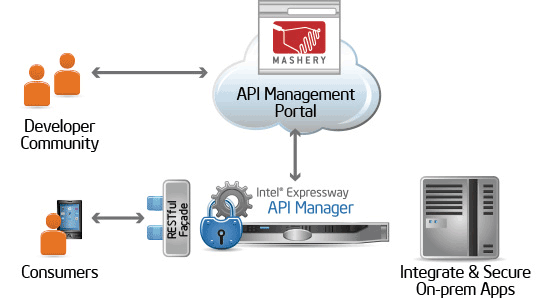 API management company Mashery was founded in 2006 and raised about $35 million in funding prior to its acquisition. Mashery founder Oren Michels did not comment about the size of the deal when we inquired earlier today. Intel has been showing signs that it is growing its investment in its software division. This latest move follows Project Rhino, which will optimize its own Hadoop distribution for its server chips. The move is in line with Intel’s strategy to become more of a security software provider, as symbolized most in the acquisition of McAfee Software for $7.7 billion in 2010. The API management space has matured in the past few years. Apigee, Singly and Layer 7 all compete in the space. Apigee is the oldest one of the group and has recently diversified to offer analytics and API infrastructures for next-generation, software-defined data centers.